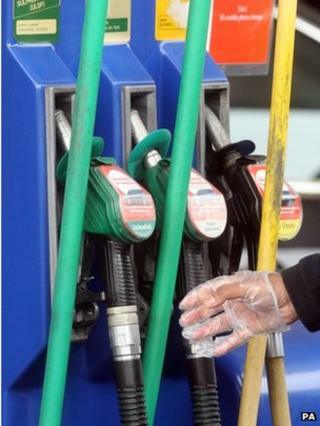 Households have cut back on vehicle fuel over the past decade, but not on household gas, according to an analysis by the Office for National Statistics. The figures were released to coincide with next week’s Climate Week, the UK’s biggest climate change campaign. But the statistics offer little cheer to a government trying to persuade its citizens to burn less fuel. The recession and high fuel prices are demonstrably changing behaviour more than concerns about the environment. On motoring, the increased efficiency of new cars to meet EU targets has helped to cut carbon emissions. The Office for National Statistics says changes to road tax pegged to CO2 have also influenced consumers’ decisions on the use of fuel and greener, more efficient cars. But it is the downturn that has really kept people out of their cars – we are buying 18% less fuel than 10 years ago. In aviation: there’s a similar picture. The slump has deterred people from flying. But the figures suggest that people still want to fly more - and flying over the 10 years is up 13% overall. In the home, even the economic climate has not affected our wish to keep on the central heating rather than don another sweater. Thanks partly to colder winters, gas consumption actually went up by 7%, despite the soaring price of gas. This statistic could be seen against this week's profits announcement by British Gas, which reported an 11% increase in profits from its residential energy business - in part thanks to a 12% rise in consumption. The figures suggest that use of fuel in cars and planes will bounce back with the economy. That is bad news for a government that it struggling to build more power stations too.